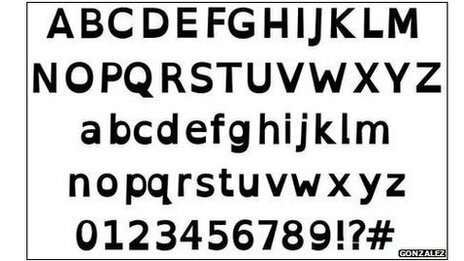 A free-to-use font designed to help people with dyslexia is gaining favour. OpenDyslexic’s characters have been given “heavy-weighted bottoms” to prevent them from flipping and swapping around in the minds of their readers. A recent update to the popular app Instapaper has adopted the text format as an option for its users. The font has also been built into a word processor, an ebook reader and has been installed on school computers. The project was created by Abelardo Gonzalez, a New Hampshire-based mobile app designer, who released his designs onto the web at the end of last year. As part of the presentation “Inclusive educative gaming: a holistic view”, ViPi will be presented on Friday 13 December at 15.15 to 16.30 in room G2 Cailliau in the session “Video Games for Learning” at the Media and Learning event. The event will take place at the Flemish Ministry of Education Headquarters (Hendrik Consciencegebouw, Koning Albert II-laan 15, 1210 Brussels). ViPi hosted a booth at ONLINE EDUCA BERLIN which took place on 4-6 December 2013 in Berlin, Germany. This is the largest global conference on technology supported learning and training for the corporate, education and public service sectors. With a particular emphasis on how Learning Moves, ONLINE EDUCA BERLIN 2013 focused on change and the role of technology in promoting creativity and innovation. The Cyprus Government Portal has gone through a thorough re-design recently and is now online. The Portal offers a separate and well-distinct section for persons with disabilities, where people gain immediate access to a number of relevant services (special education, employment, legal issues, complaints to the government, etc. ), documentation and related Websites. The “Yes, I can! ICT and ICT-AT skills development for all” final symposium of the ViPi & ATLEC projects that took place on 04/12/2013 in Brussels, Belgium, was also captured on video. For the actual presentations, please visit the agenda overview page, where pdf downloads are available of every presentation as well. We completed a successful event yesterday, with the participation of experts from all over Europe and beyond. All presentations can now be downloaded from the event page. We will also upload the complete video coverage of the entire event in the next few days, so that you can relive the event in its entirety, including the very lively panel debate. A ViPi article is featured in the Parliament Magazine Issue 380. On 15 November 2013, a ViPi pilot training session was organised in Nicosia, with students from the School for the Blinds and also a teacher from the Special Education School ICTeach. The session was focused on the use of the ViPi tools by blind users. A student with advance ICT skills accessed the ViPi tools with the help of an NVDA screen reader and assessed the accessibility. The results have been reported through the mechanism established in WP7 of the ViPi project. The assistive application for smart mobile devices Alzminder is being developed, in the framework of the EVGIRASKO project of G.M EuroCy Innovations Ltd. The project EVGIRASKO is co-financed by the Ministry of Energy, Commerce, Industry and Tourism of the Republic of Cyprus, within the framework of the Plan for Entrepreneurship Innovation. The project concerns the creation of an innovative product for the global market through the completion of the development of the Alzminder assistive mobile application, as well as the development of an Internet-based supportive Platform to facilitate the remote configuration and control of the mobile applications. Music Therapy & Entertainment: Custom music starts and stops with the click of a button or a shake of the device when prompted. Remember Happy Moments – Education & Training: The assisted person, can browse photos and hear a narration for each photo. This can be for educational purposes or to help people remember happy moments of the past. Cognitive Improvement Exercises: Caregiver can create personalized games in the field of the interests of the assited person. Social Inclusion: The assisted person can browse a contact list with pictures and make calls simply with a click on the picture or the call button under it. Feeling Safe: Automatically calls emergency contacts using the speakerphone, and sends custom SMS messages to preconfigured contacts. Garegiver Settings: Caregiver can login in a password protected settings area and adjust almost everything that will appear at the screen of the assisted person (Audio guidance messages, home screen button order, contacts, music and photo albums etc.). For further information please do not hesitate to Contact us or visit the project/product Website at: http://www.evgirasko.eu . NTU presented ViPi outcomes at ITAG 2013.